Why choose us for electrical work in DFW? "Friendly prices and FREE estimates anywhere in DFW"
If you own a home or run your own business, most repair projects and remodeling jobs you can do by yourself with a basic knowledge of home improvement. Gardening, appliance installation and minor landscaping are safe and often fun for anyone handy around the house. But when it comes to handling your electrical wiring, it's time to call a licensed electrical contractor. Faulty or poorly constructed wiring can cause bodily harm, property damage, or fire, and the few dollars you plan to save may quickly be negated by bigger repairs. That's where D&K Electricians come in. We are an A+ rated BBB electrical company in Richardson, Texas that does electrical work and repair throughout the Dallas, Fort Worth area. No job is too big or too small for our qualified team of electricians and electrical contractors. Call today to speak directly with a licensed, knowledgeable electrician for all commercial and residential electrical needs. Other master electrician services offered include: service panel upgrades, new circuits and extensions, pool and spa wiring, breaker boxes and fuses, main breakers, code corrections, fan wiring, indoor/outdoor, remodeling, remote switches, recessed lighting, overhead services, landscaping lighting, commercial and residential, custom wiring, GFI outlets, clean up service, new construction and more! -You are probably paying a fortune in maintenance. -You are waiting too long for service. -"Bucket trucks" are consuming your profits and costing you sales. Install retropole and you can change your own lamps for a fraction of the cost! Please describe your electrical needs. Visa. Mastercard. Check. Cash. 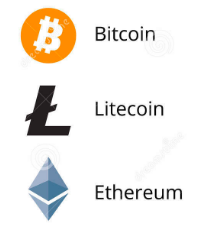 Bitcoin + Ethereum + Litecoin. Other areas of DFW served include affordable work in North, South, East and West Dallas, Irving, Las Colinas, Garland, Richardson, Frisco, Allen TX, Carrollton TX, McKinney, Grand Prairie, Addison TX, Flower Mound, Colleyville, Farmer's Branch, Mesquite, Rowlett, Highland Park, Fairview, Sachse & Wylie, Lewisville, Coppell, Forney, Seagoville, and more. For south of Dallas, visit our friends at JET Electrical Contractors. Energy rate evaluations are complimentary. Find us on Yelp. For high-voltage wiring, the prevailing design for providing electricity to a room or area of a house is called a daisy chain. Simply, a single, high voltage wire (either 110 or 220), powered by a circuit at the central panel, brings power to a variety of receptacles in a given room. The wire's connection at a receptacle not only delivers electricity to that spot on a wall or ceiling, but links to another wire that carries the same signal to the next receptacle, and so on. The resulting "chain" ends, or terminates, at the last receptacle the wire and circuit are designed to service. All receptacles along the chain are hard-wired. Not only does a typical electrical daisy chain service several receptacles at the time, a "tripped" or disabled electrical circuit resulting from overloaded demand affects only that chain and not the whole house. Modern circuit breakers, unlike fuses that literally burned out when overloaded, simply need to be switched back on after the offending appliances are unplugged and connected elsewhere. Rarely is the wiring behind the wall damaged. Codes not only dictate amps and voltage, but some minimum standards to enhance the safety and security of the homeowners. Electrical wiring, whether high or low voltage, almost always runs through and around the structural frame. An electrician's crew is outfitted with power drills and bits that cut through the center of each stud, creating a series of holes through which the wires are pulled and chained together; vertical runs are attached snug to the sides of the studs with insulated brackets. For a typical house, the electrical rough is about a two-day job; upon completion, this stage is inspected by the building department for adherence to the NEC and other local requirements. To protect wires from intruding nails and other fasteners, electrical runs within a framed wall are required to be at least 2 inches away from the face of the studs or other framing member. That, or they must be guarded by small, steel faceplates set into the stud. Some electricians do both for added protection and to more easily pass inspection. However, because most horizontal wiring runs are located along the lower section of the wall, and are attached to the sides of the vertical studs and ceiling joists for switches and fixtures higher up on the wall, there's little chance of hitting a wire with a picture hanger or even a drywall nail. For most of us, electricity is something we take for granted, and therefore know little about. For that reason, it is also a scary prospect when it breaks down, or even when we're faced with simply switching on a tripped circuit. That gray metal box is intimidating, mostly because we're clueless about what it contains. Occasionally, you may see a rigid metal pipe, or conduit, fastened to the wal frame to carry bundles of wires. Conduits are used on particularly long runs or when there are several wires going to one location or area of the house. Without a conduit, large bundles are more difficult to properly secure to the wall frame, creating sags or pinches that can affect electrical performance. The rigid metal also protects the wires, eliminating protective faceplates.